Dr. Duc M Nguyen always appreciates feedback from his valued patients. To date, we’re thrilled to have collected 10 reviews with an average rating of 4.8 out of 5 stars. 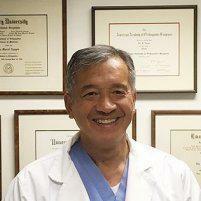 Please read what others are saying about Dr. Duc Nguyen below, and as always, we would love to collect your feedback. Doctor Nguyen and his staff are wonderful. Feel comfortable and confident with his treatment. Kindness, thoughtfully throughout the office. Experience was painless and quick. He was concerned about my comfort. Very professional and caring. Dr Nguyen is very professional and understanding. I'm so glad I'm under his care. And front desk and Dr. Nguyen assist are awesome. Dr. Nguyen was professional, thoughtful, and fully disclosed my options for improvement moving forward. He was an excellent and skilled doctor. I would highly recommend him and go back to him in a heartbeat. But I hope I do not need his services again. Thank you. I was first a patient of Dr. Nguyen in 2011, brought in by ambulance with a messy fractured ankle. He did a great job of screwing the ankle back together--I can now hike and bike and jog. Very stable. When I broke my knee (camping) in June, after a couple of ambulance rides and a stint in rehab, I went back to Dr. Nguyen and was once again treated wisely and well. Fine surgeon; fine doctor. Not much Dr. Nguyen could do for me except consultation. He's really very patient an I will recommend him to any one who asks!! After one year treatment and exercise my right wrist is much better. But the force is still weaker and the movement limited than other side obviously.